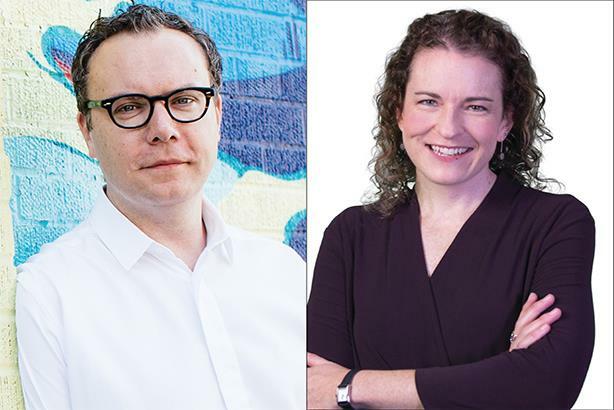 July 31, 2017 by Matt Neale, Golin; Anne Green, CooperKatz & Co.
Two top agency executives take sides. Relevance is the most important measurement of a brand. It’s what attracts and keeps people paying attention, and what moves them to act. And if a brand isn’t relevant, it’s being ignored. But in comparison to trustworthiness — or people’s ideals for how they desire their brands to be honest and truthful — relevance has an unfair advantage. For example, I trust the BBC, but if its reporting is not relevant to me at the time and place I’m watching it, I’ll be second screening in no time. While we want our brands to deliver on trust, we can’t help but pay attention to entertaining content. In a way, brands are now competing for share of voice with the populism of a Trumpian tweet. Establishing, maintaining, and curating cultural relevance over time is something all brands aspire to, but rarely achieve. My favorite example is the James Bond franchise, which has captured global attention for more than 50 years. Full disclosure, I once stalked Roger Moore in a restaurant and tried to join the British Foreign Office to become Timothy Dalton. The films haven’t changed: dashing men, beautiful women, Aston Martins, and martinis that stir the imagination. However, the casting and content has evolved to reflect the times. It is eternally relevant, populist, and with a wink of humor — a template that inspires people to see the films. But you don’t have to be a Bond superfan to see this proven success. Relevance, plus time, equals revenue. This same formula has been used by brands such as L’Oreal. Once upon a time you were worth it. Now, we all are. Singular worth has become a collective expression. Any brand can achieve this level of greatness, because relevance offers marketers a clear roadmap of what to do and how to deliver on programs and experiences that matter to people. Credibility is certainly meaningful, but understanding a brand’s results around trust can lead us to accept what not to do, or who is getting it wrong — and that’s often outside the boundaries of what we can control. In 2017, where immediacy is everything, brands need to master their relevance. After all, does anyone remember Napoleon Solo? Can we pit trust against relevance? A product or service always requires some level of relevancy, or there’s no market. Quill pens and ink wells, anyone? And if you lack basic trust in a company, why would you risk an investment of your time or money? To get at the relative value of these factors, we need to ask the right question: which has more power over the long term? That’s where I vote trust every time. Golin’s Global Relevance Review found that "of the most relevant brands studied, 0% met the ideal when it came to being trustworthy," and that relevance moves people to act. The full study is very compelling, but I don’t see the triumph of relevance over trust. Nor should this be a signal for companies to jettison concerns about building trust or acting ethically. Trust is a connection made for the long haul, while relevancy can be gone tomorrow. While the research distinguished between frivolous popularity and talkability — how many people are willing to vouch for or recommend a brand — it’s tough to separate the two. The company everyone is talking about today can easily burn out tomorrow, and that burnout often ties back to trust. I’m hearing a lot about the recent United Airlines passenger fiasco and how it didn’t have an impact. United’s bookings have recovered, so no one must care about who gets dragged bleeding off a plane. Trust loses to relevancy in the short term. This thinking is reductive. Domestic air travel routes are limited. There’s a big difference between having to choose a product due to lack of viable alternatives and feeling good about it. These trust issues do internal damage not just to customers, but also employees. It creates a cognitive dissonance that festers over time. Enough bad feeling, and people vote with their wallets. As I write, the news of the day is the resignation of Uber’s CEO. I won’t rehash the ugly erosion of trust provoked by the company’s culture and business practices. But I will say I’ve never felt so bad about occasionally using a service so incredibly relevant to my life. They may be winning the relevance game. But the long game has a higher cost. PRWeek’s View: Relevance is very important, but so is trustworthiness — especially in an age of extreme transparency. For the brands that consumers depend on, both are very important.